The benefits of exercise are well known: weight management, decreased risk of chronic disease, improvements in bone density, and increased muscle strength and endurance. But when most people think “exercise” their brains automatically jump to intense gym workouts, long runs, or hiking up a big mountain. But did you know, all of those benefits are available through something we do every single day? Walking. You heard that right--walking is an incredibly effective way to maintain complete body and mind health. The catch? 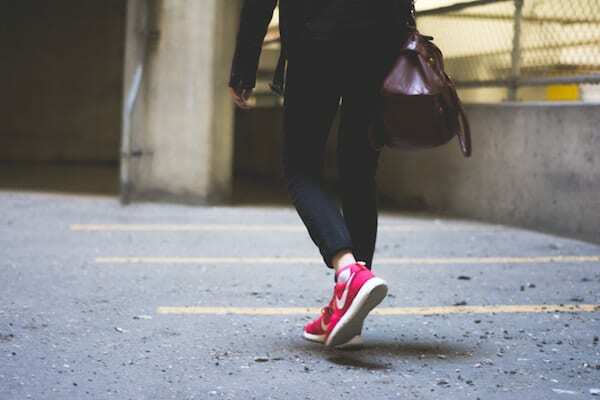 To achieve those benefits you need to make walking an intentional part of your day, taking plenty of steps. That’s where pedometers come in. They’re small devices you hook to your clothing that track the amount of steps you take. 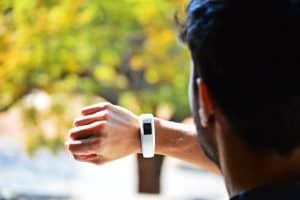 Fancier ones also track heart rate, calorie output, and miles walked. They’re the ultimate tool for people looking to step up their stepping. 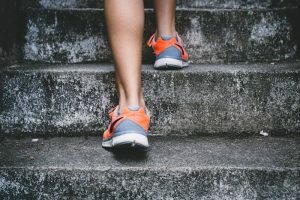 If you’re someone who will be getting plenty of exercise outside of walking, you can probably get away with a slightly lower step-goal. If you work a desk job, it might be unrealistic to walk 5 miles a day--so you may be better off looking for other ways to move--like buying a standing desk or taking walking meetings. It’s also important to look at what you’re eating. True health involves more than exercise--it includes what you’re putting into your body. You can’t out-walk a bad diet, so think about that when deciding a goal. When setting your step-goal, analyse your current activity levels, your diet, and your goals to decide what makes most sense for you. ​Once you’ve got a goal in mind, it’s time to make a plan to reach it. Most people probably don’t have time for a 5-mile walk each day, but there are plenty of ways to sneak in steps. Park far away from the doors so that you have to walk further before going inside shops or work. 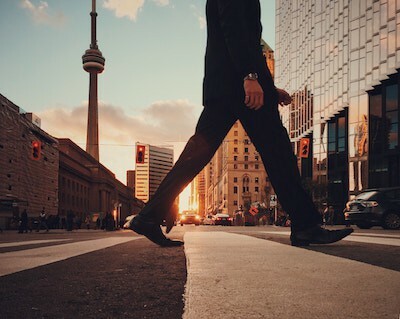 Opt for walking meetings instead of sitting around a table. Not only will you sneak in steps, your blood will be flowing--leading to better ideas! When at the shops, walk up and down each aisle. Whenever possible, skip the lift and take the stairs. Instead of meeting your friends for coffee, head out on a group walk and THEN grab coffee. Get the family involved! After dinner, gather everyone for a walk around the neighbourhood and take that time to talk about everyone’s days. The key is to make walking part of your day, not something you dread. Always look for little ways to take a few more steps and you’ll be at your goal in no time! Tip: Put your pedometer on first thing in the morning so that you don’t miss a single step. Not sure how to put it on? This article does a great job of explaining proper usage.